Our business is helping you accelerate growth of your business! We do more than any other service provider professing their willingness to help. The difference is straightforward. We work for you as an independent contractor identifying, qualifying and closing new business on your behalf. The Decision Support Group (DSG) is based in Novi, Michigan. We incorporated in 2003 after DSG's managing principal spent more than twenty-eight years in the Marketing and Service Delivery of business solutions to small, medium and large business enterprises. For nearly three decades the theme of business managers, owners, and entrepreneurs was the same - how do I create and maintain a healthy backlog of business? Many solutions are proposed but the answer is simple. 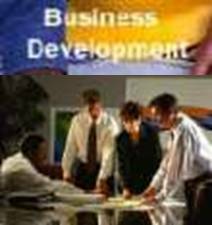 Invest in a group of professionals who live the business development process. DSG is an experienced group of business development professionals who are not interested in selling you the tools to 'Do It Yourself' but use the tools to get it done for you. We understand market profiling, market campaigning, relationship building, closing business and creating residuals. We are ready to work. Contact us to get started on growing your business now. Everyday is an opportunity to excel. Why not today?